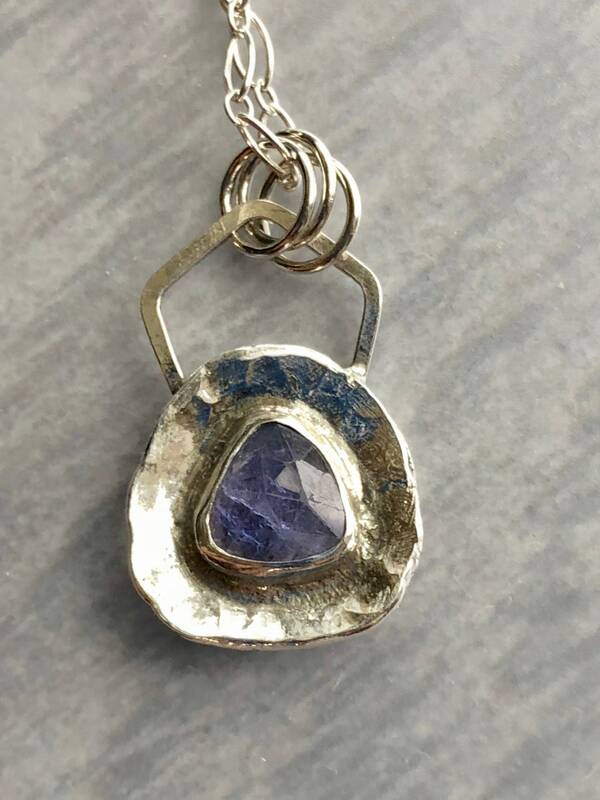 The silver in this pendant was collected from scraps and dust, melted together, and and re-forged with a many step process into this unique, modern rustic piece. 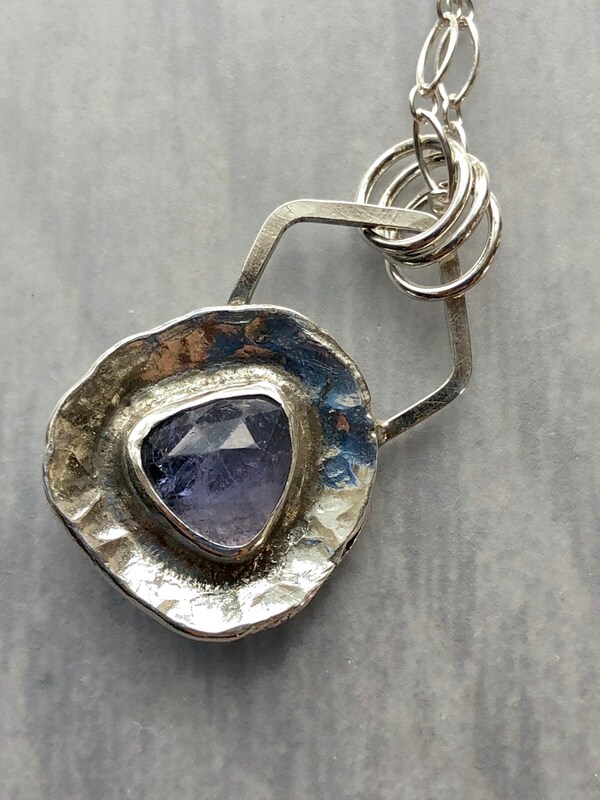 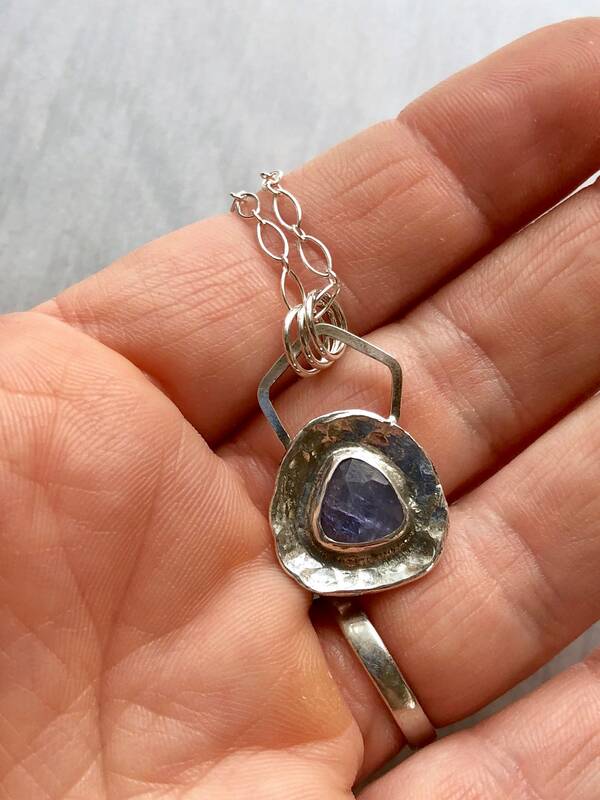 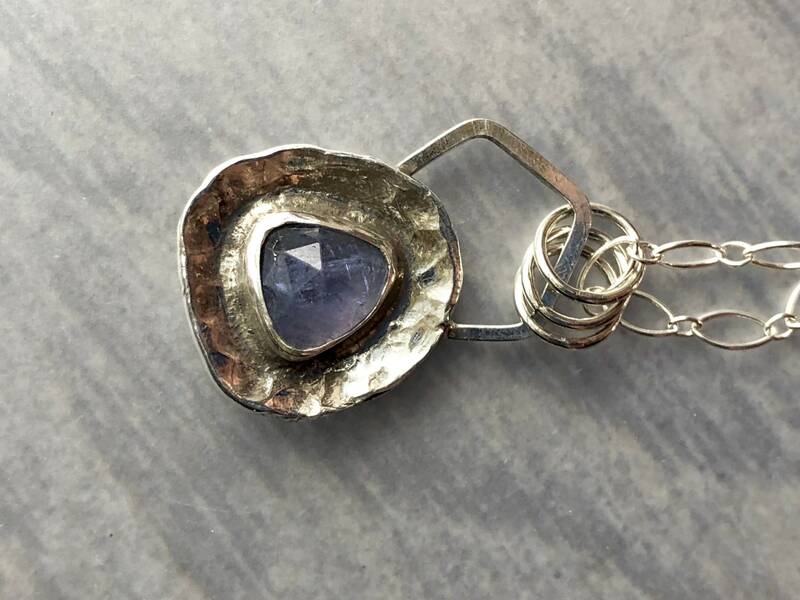 A triangular rose-cut natural tanzanite gemstone sits inside the silver “shell” like a pearl or a dewdrop. 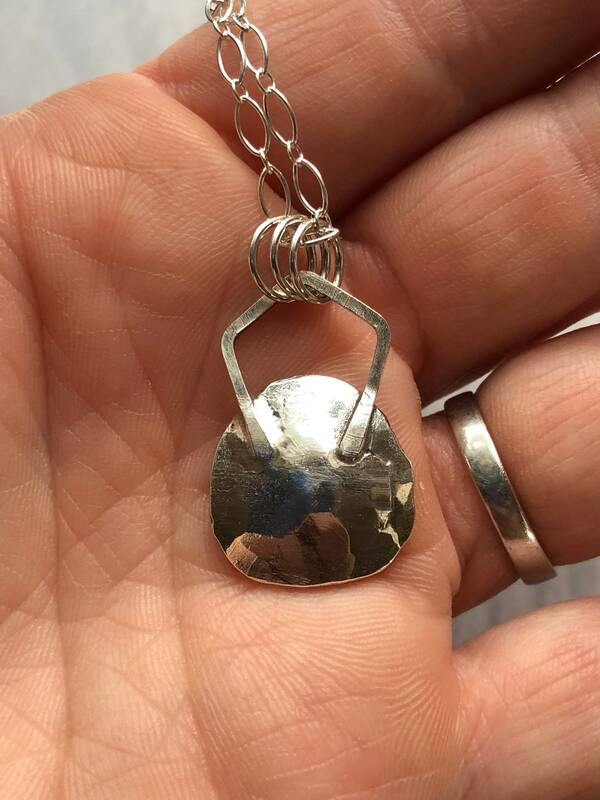 • The pendant is approximately 1.25" x 3/4". 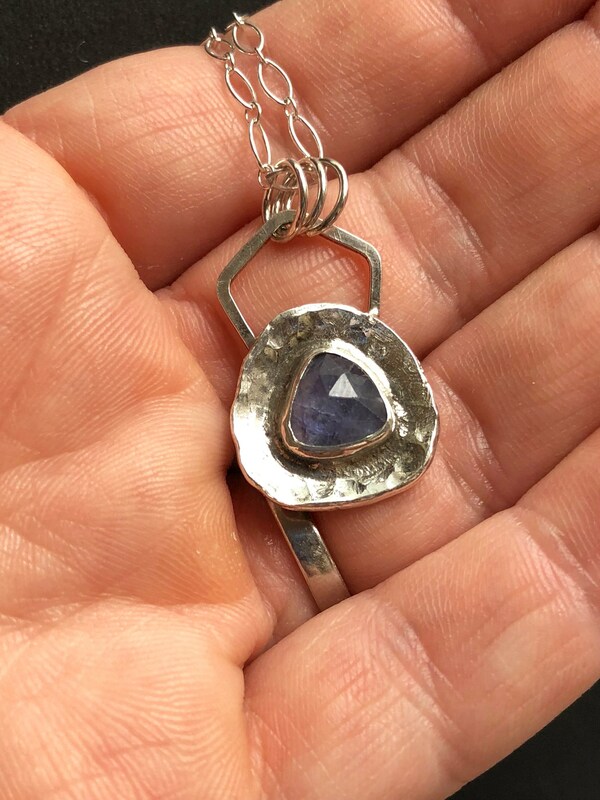 • The tanzanite is 9mm in diameter. 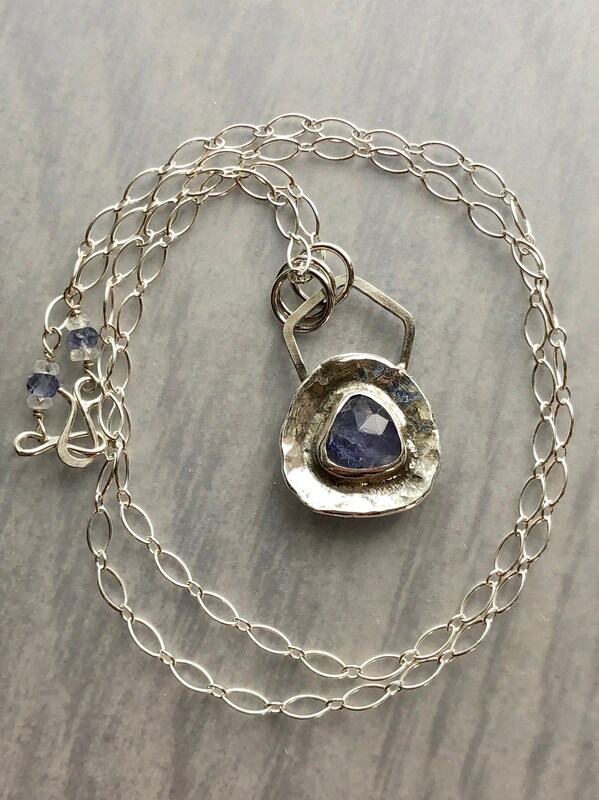 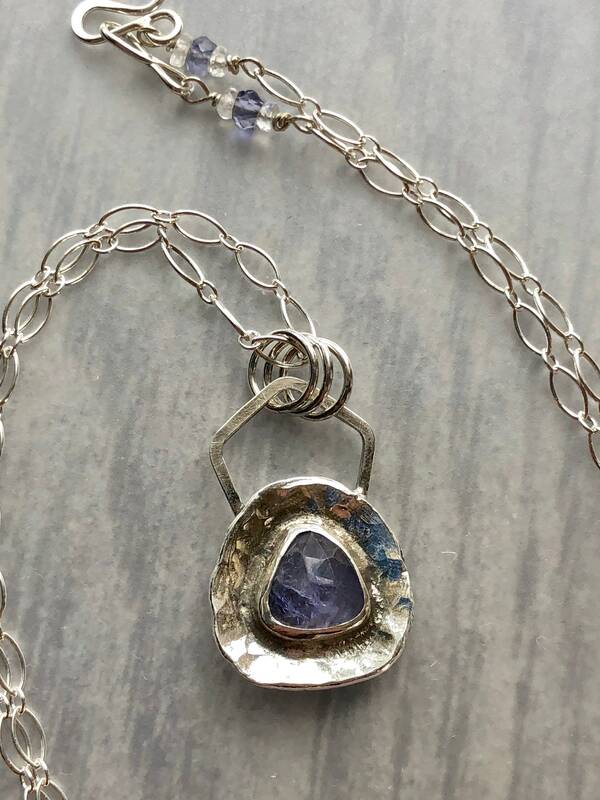 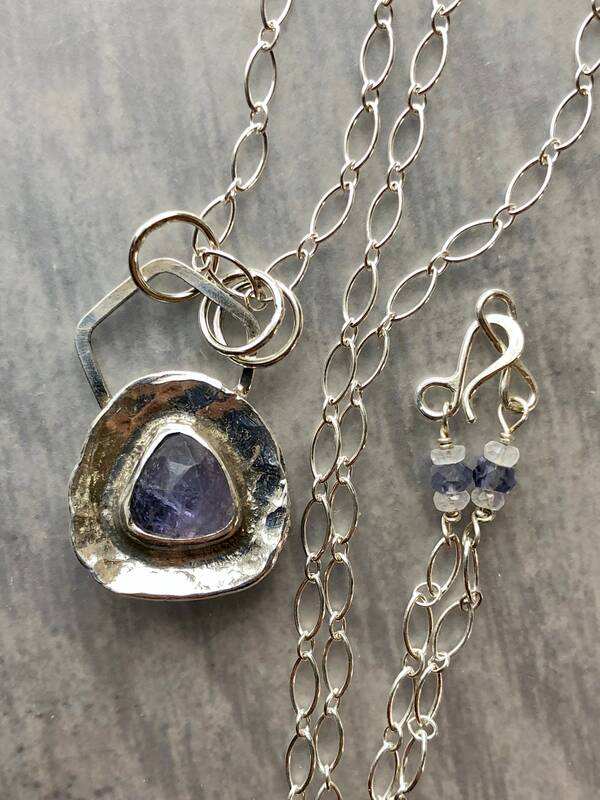 • Small faceted rondelles of iolite connect the chain to the hand-forged clasp.